Dave Anderson of the A-T Ranch grew up on a mixed dairy farm in Minnesota pioneering organic farming techniques during the heyday of industrialized chemical agriculture’s growth. As a pulmonologist and critical care physician, Dave discovered many of our epidemic health problems, such as atherosclerotic vascular disease, diabetes mellitus, cancer, and obesity were related to what we did to our food products…not the food itself. He also saw elevated levels of health problems among chemically-dependent farmers. 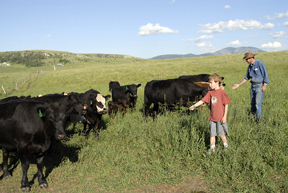 So, when he moved to Montana in 1976, Dave had a goal of developing an organic ranching operation, promising himself to do what he could to promote organic food production and grass finished beef. Today that goal is realized. 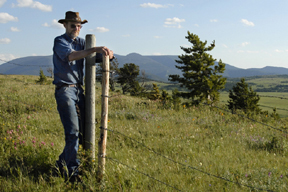 Dave and his wife and six children manage 615 acres just east of Great Falls which they’ve protected in perpetuity with a conservation easement. 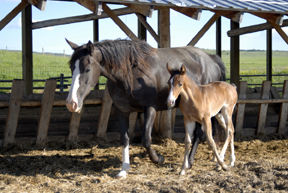 He has worked with a number of governmental agencies to improve the ranch’s ecology through increasing wildlife habitat, creating buffer zones to separate his lands from non-organic neighbors, and centralizing his water system enabling him to employ rotational grazing more fully. Most of the hay necessary to winter his steers is also grown on the ranch. While some of his beef is marketed locally, most is marketed through MOPC. “I truly believe that through the marketing and production standards incorporated in our co-op, as well as through other similar organic co-ops, that the general health of our nation will improve,” says Dave. 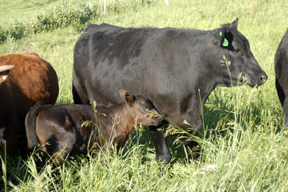 Several of his children, who all enjoy living and working on the ranch, have already expressed an interest in carrying on the tradition of growing organic grass finished beef in an agricultural system that enhances wildlife habitat.